The developers who worked with Donald Trump in the decade before he was elected President form a motley crew. They’re a potpourri of complete novices in the real estate world, white-collar felons and minor officials from unstable governments. But one thing the richest among them appear to have in common is the source of their wealth: the distressed assets of economies in the former Soviet Union, sometimes purchased at fantastically low prices or, in the case of the financier behind a Georgian tower that never got off the ground, apparently stolen. The most recent post-Soviet oligarch to surface in connection with a Trump project is Mukhtar Ablyazov, the chairman of a bank tied to a planned Trump tower in the Republic of Georgia. This week’s New Yorker details the abortive plans for two towers in Georgia, and the involvement of Ablyazov, who apparently acquired his vast fortune by simply taking it from a Kazakh bank that since has been seized by that country’s government. 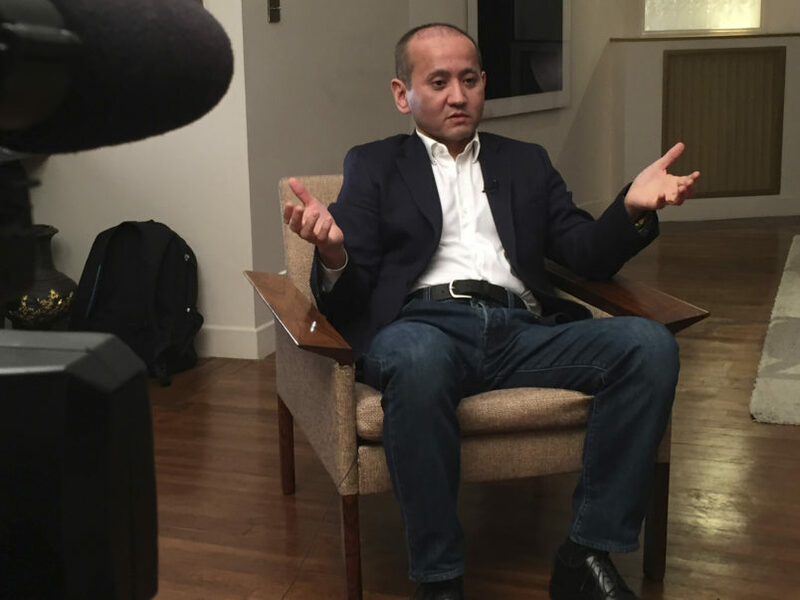 Ablyazov gained control of B.T.A., the largest bank in Kazakhstan, in the early aughts by taking out billions of dollars in loans through shell companies and then refusing to pay them back, according to Adam Davidson’s meticulous report. He first fled to London, where in 2009 a British court convicted him and sentenced him to prison. He then fled to France, where he is currently fighting extradition. While the British court ordered Ablyazov to repay $4 billion, the Kazakh authorities maintain that he stole $10 billion. Shortly after his conviction, Ablyazov became involved with the Trumps via Trump Organization executive Michael Cohen. The B.T.A.-controlled Silk Road Group negotiated with Cohen to license the Trump name for a tower in Batumi, a Georgian city on the Black Sea—an unusual move for a company based in Kazakhstan—and suggested that plans for a second tower in the Georgian capital of Tbilisi were underway, as well. The Silk Road Group, like other business Trump has partnered with to develop branded properties, was not primarily a real estate concern: It was a petrochemical shipping business. Ablyazov’s multi-billion-dollar theft is part of a vast money-laundering probe by Kazakh authorities, in which the Financial Times reported that Trump associate Felix Sater is cooperating. That probe also involves Ablyazov’s son-in-law, Ilyas Khrapunov, who is accused in U.S. lawsuits of laundering money by buying and quickly reselling American luxury condos, including three units in Trump-branded buildings, according to a recent article published by McClatchy. Then there is Alexander Shnaider, one of the wealthiest men in Canada who developed what used to be the Trump International Hotel and Tower in Toronto. Shnaider began accumulating his vast wealth in Ukraine shortly after the collapse of the USSR while working for his father-in-law, Boris Birshtein. Birshtein is an associate of notorious Russian mob boss Semion Mogilevich, according to an August 1998 FBI report on Mogilevich’s organization, which says Birshtein hosted a meeting between the monster and his associates in Tel Aviv. Shnaider’s fortune was planted in Ukrainian steel during the early 1990’s. The nation’s economy was collapsing, and it was still reeling from the 1986 nuclear catastrophe at the Chernobyl plant. The Soviet supply chain for everyday goods had collapsed, so Shnaider used local desperation for goods like microwaves and VCRs to his advantage, trading a $40 microwave for $150 of automaker-ready coil steel, according to a 2005 Forbes profile. One customer of choice was the Zaporizhstal steel mill, of which Shnaider bought a 93 percent ownership stake in 2001 for $70 million. 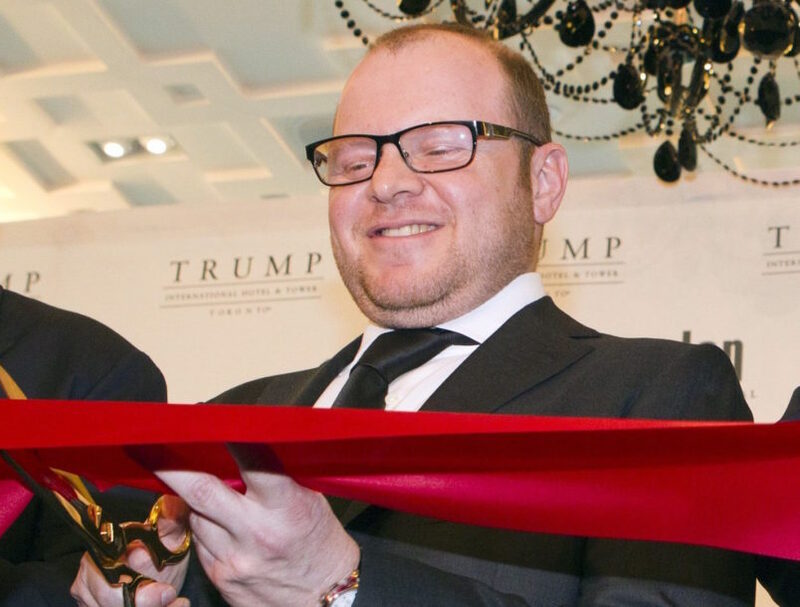 Four years later, Shnaider was turning down offers for $1.2 billion for the same mill, and he was in the real estate business for the first time in his life: A deal to build the tallest building in Toronto with Trump. Like Ablyazov and Khrapunov, Tevfik Arif, who founded the frequent Trump partner Bayrock Group, hails from Kazakhstan. The origins of the elusive financier’s personal wealth can be partially deduced from a massive information dump to German newspaper Der Spiegel. Arif, who was once an economist for the USSR Ministry of Commerce and Trade, and his brother, Refik, acquired a chromium plant in Kazakhstan, according to Tokyo-based international publication The Diplomat, which reviewed the files shared with Der Spiegel. When exactly the Arifs acquired and sold off the plant is hard to discern; in 2001, Arif moved part of his business to the U.S. and began to work with Trump. The plant, which was headquartered offshore, and is now owned by a Chinese consortium. The eccentricities of the building’s financial dealings came close to direct criminal investigation by the government, attracting scrutiny from the Manhattan district attorney. But when Trump settled with people who had purchased shares in his property, among the conditions of that settlement was that the investors cease cooperating with the government investigation.